Treasurer. Chairman of the Board. 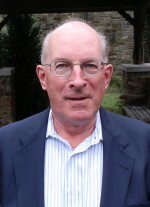 Chairman of the Governance Committee. Member of the Executive Committee. Chairman of the Board. Chairman of the Glastonbury Regional Board. Member of the Roger Tory Peterson Estuary Center Regional Board…. Those are all the positions Ralph Wood has held for Connecticut Audubon just in the last six years. And we probably forgot some. Ralph has handled it all with aplomb, with generosity, and with a gentlemanly demeanor that makes working with him a pleasure. A resident of South Glastonbury, Ralph is passionate about conservation and the outdoors, and about the imperative to instill a conservation ethic in the younger generations. He is passionate about donating his time and his expertise in how organizations function effectively. Most of all he’s been unstinting and steadfast in his loyalty and his friendship. Karen Cowperthwaite’s introduction to Deer Pond Farm came on one of first guided walks after the preserve opened in June 2017. She returned often and became a member of the Connecticut Audubon Society, and finally a volunteer, putting in more than 150 hours. Her pro bono work as a licensed landscape architect enabled us to start the Wriston Memorial Pollinator Garden. It serves to improve habitat and create a warm welcome area where visitors can enjoy a beautiful space and learn the beneficial features of native plants. Karen worked with other volunteers and staff to plan, design, plant, and assist with an irrigation plan. She has served as co-leader on guided walks and has led seven themed walks including wildflowers, invasive plants, and planting for birds and pollinators. A Sherman resident, Karen runs Cowperthwaite & Co. Landscape Architecture LLC. When Connecticut Audubon needs native trees planted at its H. Smith Richardson Wildlife Preserve in Westport, Charles Stebbins goes to find a shovel. When deer fencing needs to be erected at the preserve, he helps arrange for a work crew — and then pitches in from start to finish. When the pace of restoration work at the preserve seems to be lagging just a tad, he’s there with a well-timed email or phone call. Ask Charlie about Smith Richardson and he says, “You know where my passion resides!” But the restoration work at the preserve is merely the local manifestation of this Fairfield resident’s bigger passion for conservation in Connecticut. 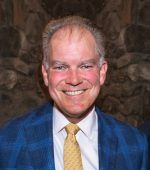 A generous member of the Board of Directors since 2013-14, Charlie has served on the Executive and Development Committees and has co-chaired fundraising events at the Center at Fairfield. It’s true that he puts his considerable brain power to work for the board. But his heart and soul belong to the preserves.